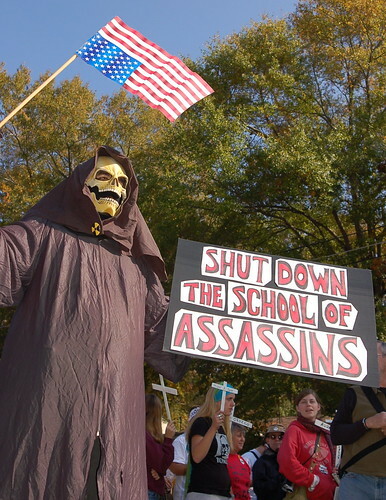 On November 22, thousands gathered at the gates of Fort Benning, GA at the 25th annual protest of the School of the Americas to memorialize the tens of thousands of people who lost their lives at the hands of the U.S. Empire’s brutally repressive juntas it used to rule Latin America by force. The 20 richest Americans will sit down to breakfast this morning to lovely dishes carefully prepared by their chefs and served them in the most elegant of dining rooms that can be imagined. How will they greet the news that they now have more wealth than half of America combined? 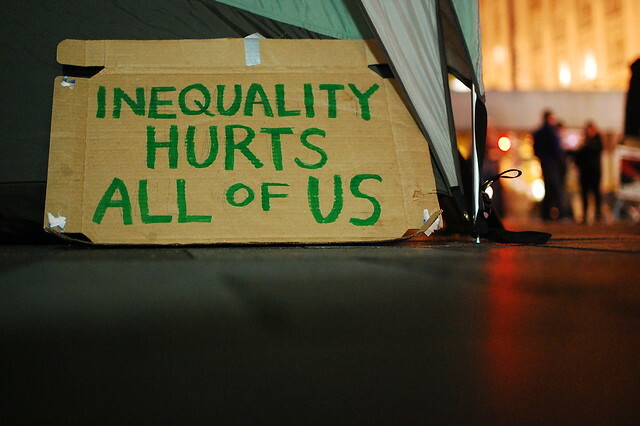 Twenty people, all white and mostly male, nine of them from just three families, are now richer than the poorest 152,000,000 Americans combined.